Sandeepa - Tomakay o noboborsheir onek shubecha. Shuvo Noboborsho Didi. BTW chingrir malakari redhechilam goto weekend e apnar recipe onujayi. Oshadharon. Happy New Year to U and ur Sweet family! Happy Bengali New Year to you and yours! Wish you and your family a Very Happy New Year Sandeepa. Happy Bengali New Year to you and to your family Sandeepa!!!! Cheers!!! Happy New Year to you and yours Sandeepa. 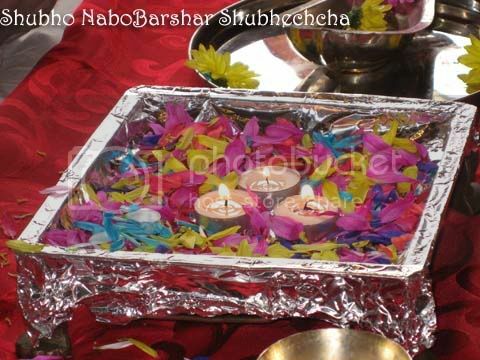 Shubho Noboborsho to you too Sandeepa. 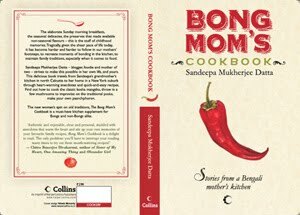 Sandeepa, I am writing to you again.. tonite(at 10:30 p.m.) I tried your Bhapa Doi for the first time..and the word is "AWESOME and YUM YUM" ... oh my God!!! my husband loved it..puro ta shesh kore dilo...Thank you so much!!! now I really feel like "Shubho Noboborsho" with this sweet dish. shubho noborsho tomake,sandipa! khub darun hoy ei bochhor shokoler jonyo! Shubho nabobarsho Sandeepa. Notun bachor chotto shona der nie tomader khub bhalo katuk. Belated new year greetings, Sandeepa!